The first time I watched this ad the volume on my TV was muted, and all I could think was "Oh man, that pizza looks awesome." 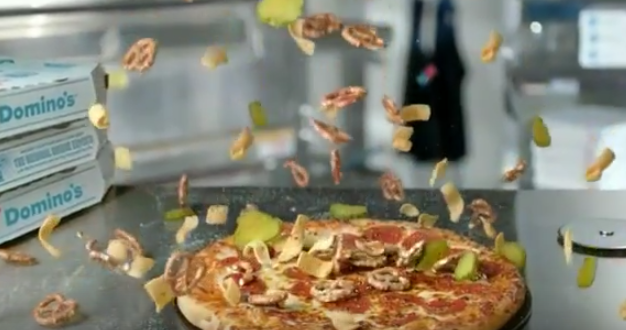 You can imagine my disappointment when I saw the commercial again and found out the pizza isn't real. Oh well. Memo to Domino's, get a lot weirder if you want to make this ad work. RELATED: What's the point of this pigs in a blanket pizza? The ad says one of their competitors makes that? Which one? I want one to!!! Actually the pizza's from Pizza Hut, they make that kind of pizza. What do you make of this "Navy SEAL" car?